How's it going? I hope that all is well with you! You may have already heard the bad news but VST creator, De La Mancha, has given up the VST creation ghost! No more VSTs coming from that stable. 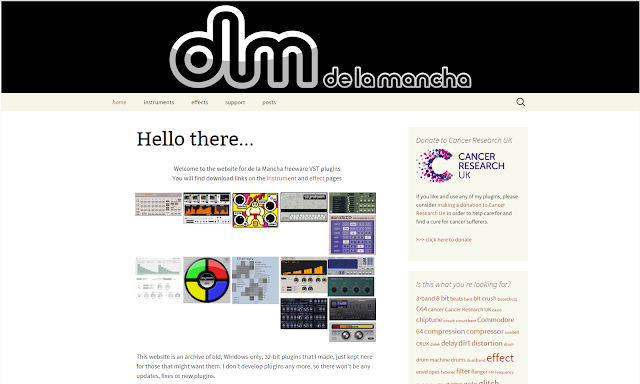 It's such a shame as De La Mancha was very talented and produced a few awarding winning instruments and effects. Maybe he will have a change of heart! You just never know. Even though they are 32-bit the instruments and effects are very, very useful! The catch is that De La Mancha has withdrawn support and will not be updating these wonderful toys! I'll continue to share my VST findings with you in the future!